Police are searching for a man armed with a gun who robbed a Pizza Hut in Gurnee Monday evening. The Gurnee Police Department was called at 6:59 p.m. to the Pizza Hut, 5326 Route 132, for a report of an armed robbery. Police officers were told by employees that an armed man wearing a mask demanded money. He was displayed what appeared to be a black handgun, police added. The suspect fled eastbound on foot from the business and police recovered some of the cash and other items related to the suspect in the immediate area. The suspect has not been caught yet. Police did not say how much money was taken or if anyone was injured. 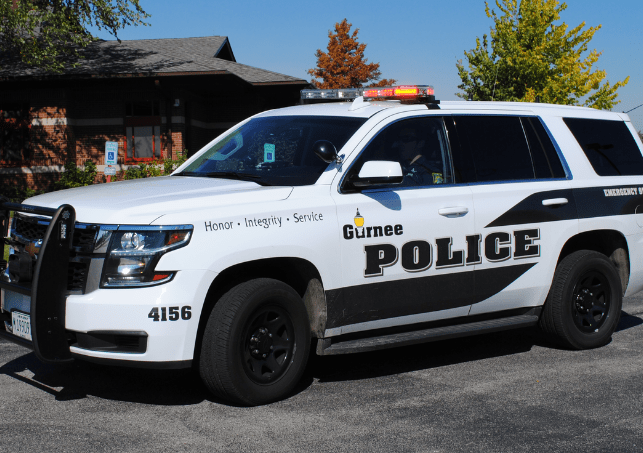 The robbery remains under investigation by the Gurnee Police Department. Anyone with information is asked to contact the Gurnee Police at 847-599-7000 or the Lake County CrimeStoppers at 847-662-2222.